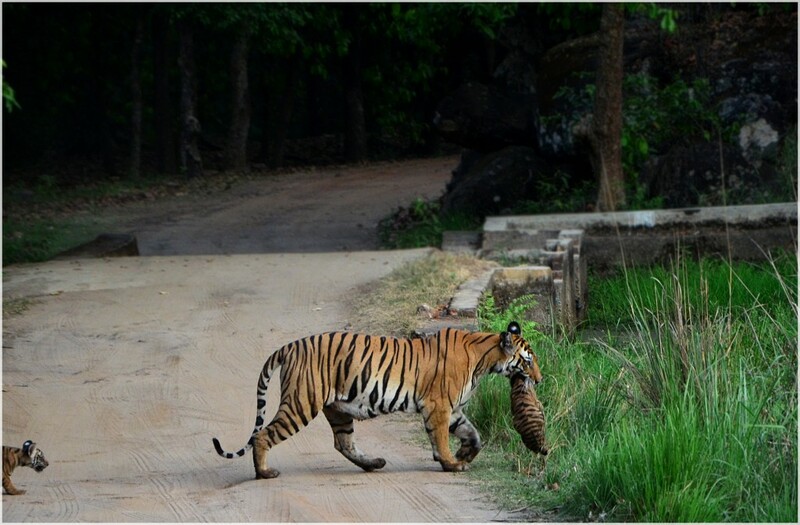 One of the dominant females in Bandhavgarh, Kankatti was seen a few days ago with her 3 cubs. The cubs are very young yet, approximately two months old. 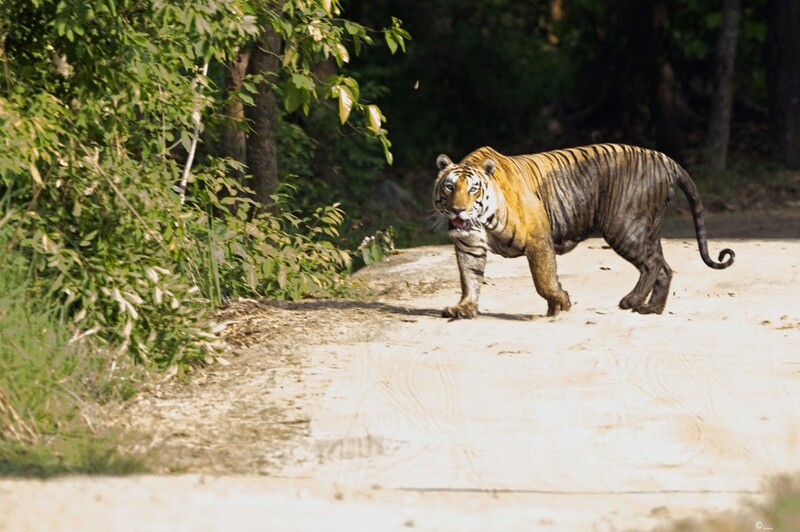 The tigress was seen only once before with her family. 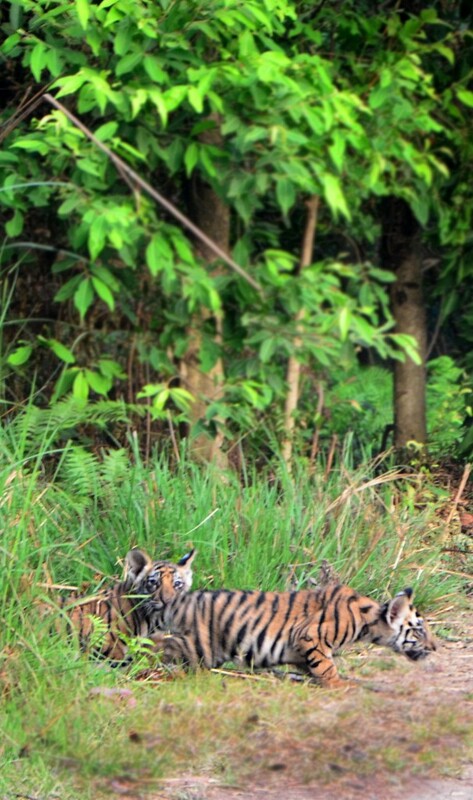 According to the local guides, it is unusual that she has taken such young cubs out. The females would take out cubs when they get a little older than this, around 3-4 months. She is also seen very cautious and rapid while moving the cubs. The reason behind this is said to be the new male who is frequently seen in Tala, her territory. Apparently, this new male is not the father of her cubs and would kill them in the first opportunity. This tiger is called Jobhi male and is certainly a huge, healthy full-grown specimen. He has no stripes on his front legs starting shoulders to paw, a very unique pattern and his identification key. This ‘mystery male’ is said to be the danger for the lives of Kankatti’s cubs. Posted on May 27, 2014 by pugdundee blog. 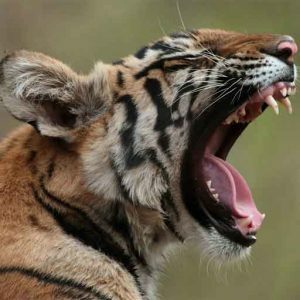 This entry was posted in Animals, Wildlife and tagged Bandhavgarh National Park, jobhi male, kankati cubs, kankati tigress, pugdundee safaris, wildlife safari. Bookmark the permalink.